Support crews were assigned to Apollo early in the programme to help lighten the training load on the prime and back-up crews due to the complexity of the lunar missions. These support crews would attend meetings, visit contractors, keep the crew up to date on a variety of issues related to their specific flight and fill in for some of the more mundane simulations and chores. Ed Gibson was assigned to the support crew for Apollo 12 (with Jerry Carr and Paul Weitz), while Karl Henize, Robert Parker and Joe Allen formed the support crew for Apollo 15. Phil Chapman and Tony England were assigned to the support crew of Apollo 16 (with Hank Hartsfield) and Bob Parker served on the support crew for Apollo 17. Owen Garriott found the Apollo 11 assignment useful in getting him closer to an actual flight crew and operational participation in a "real mission''. That experience helped the Skylab astronauts, especially the rookie ones, enter the programme with some experience of real space flight operations and activities. Soon after Apollo 11 landed on the Moon and while the crew rested prior to performing their EVA, Garriott served as Capcom. There was not much to do, but he had to be ready for any potential emergency. 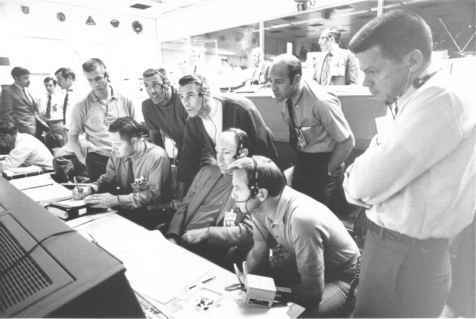 Astronauts and flight controllers crowd around a console at MCC-Houston during the April 1970 Apollo 13 crisis. Standing at the left rear is Tony England. and his helicopter flying certainly was - but despite being subjected to a lot of heat over the incident, he remained in the programme. However, his chances of receiving an Apollo assignment that would take him to the Moon diminished, like the other scientists, as the programme wound down. He did receive an assignment to the Apollo 12 support crew, working on procedures and timelines for the lunar EVAs and assisting in the development of the checklists to help ease the mental burden on the crew. 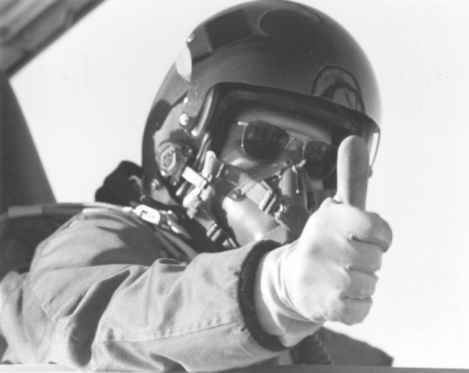 They tested placing the checklists on the LM and on equipment, but Bob Roberts of flight crew support suggested a cuff-mounted checklist that was finally approved. It is still in use on today's ISS EVAs. 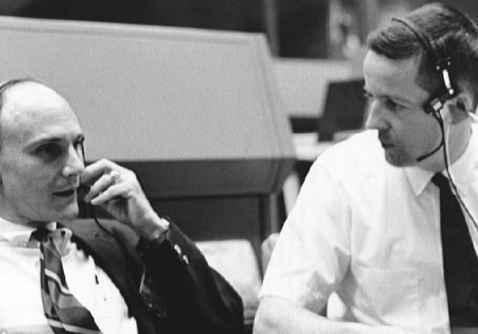 Kerwin (right) and Ken Mattingly monitor communications with Apollo 13 from MCC-Houston, April 1970. Capcom who communicated instructions for the crew on how to construct the carbon dioxide scrubber.